Cheesy Easter Traditions | Winners Drink Milk! “Hippotty Hopotty Easter’s on its way…..” Spring is my favorite time of year, sparking rebirth and renewal of my precious tulips, green lawn and all things pastel. It’s a time of hope and joy and celebration in our house. As a child Easter meant, coloring eggs, chocolate bunnies and baskets full of plastic neon grass. (Hay like strands that I’m sure can still be found in a dark corner of our parents’ home.) Roaming the house in the wee hours of the morning, hunting for eggs filled with chocolate treats, was the event of the season. As an adult, I look forward to something simpler and more meaningful, dinner with our loved ones. After all, what better way to celebrate life than with food that nourishes it? As the granddaughter of a hog farmer, a juicy ham has always been the centerpiece of our traditional meal. Served hot or cold, it’s just not Easter without it. 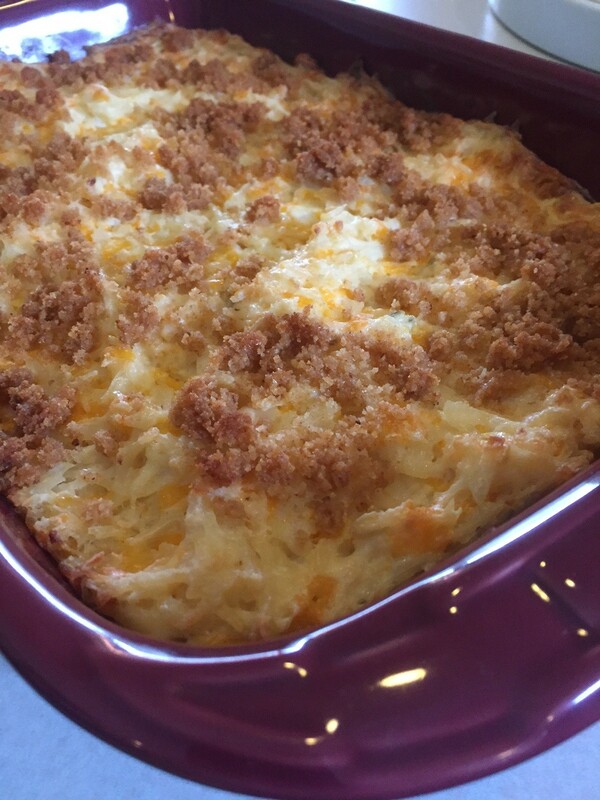 Must have sides include fresh deviled eggs (have to eat up all those colored eggs sometime), green beans and that most amazing gift from the heavens….CHEESY POTATOES! Seriously, our family can’t get enough of them. Our love for the combination is so intense we make multiple batches so everyone can take home leftovers. I’ve been known to eat them for breakfast. And why not? Their glorious goodness provide high quality protein, calcium and potassium in every serving. Want to try them? First gather your goodies (see ingredients below). Next sauté chopped onion in 1 TBSP melted butter until the onion is clear. 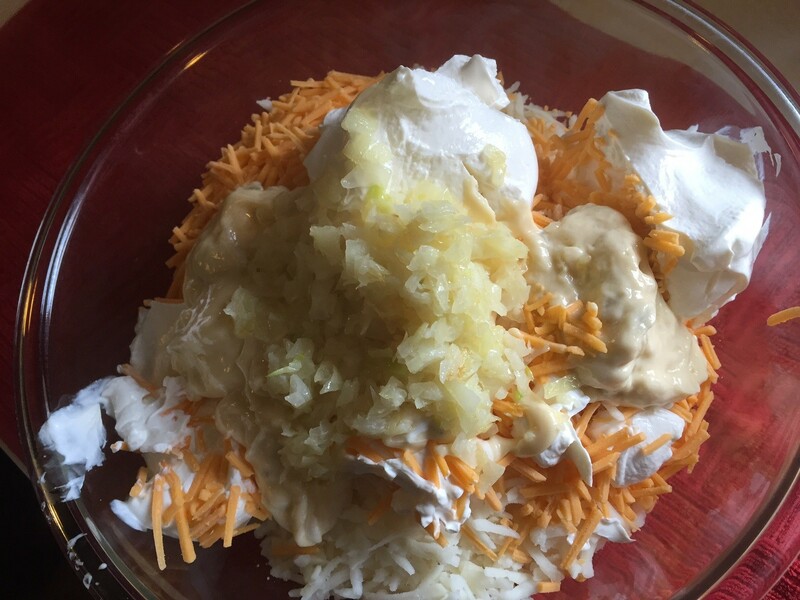 While the onions are cooking, toss together potatoes, sour cream, celery soup and grated cheese. Add the cooked onion when it is done and mix well. 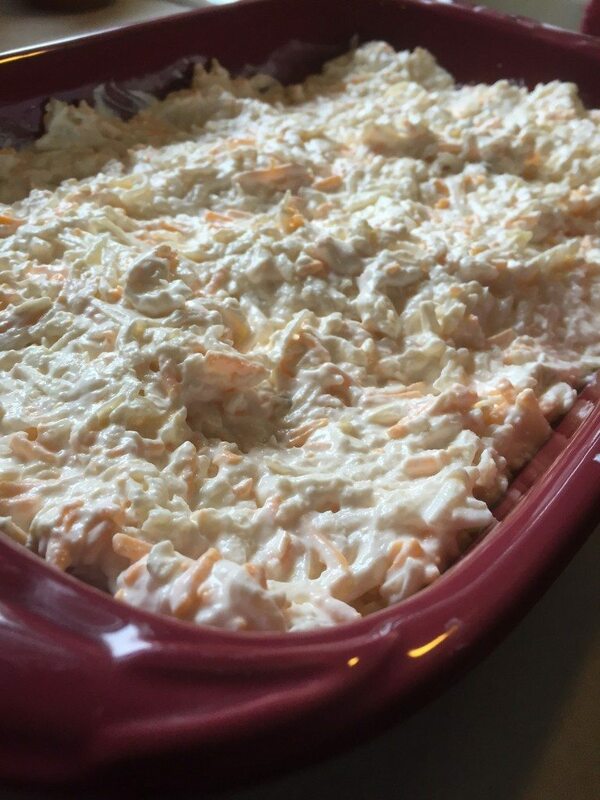 Spread they yumminess into a greased 13 x 9 baking dish. Melt 3 TBSP butter and add 1/3 cup bread crumbs until crumbly. Sprinkle over the top of the potatoes. Bake at 350 degrees for 1 hour. Hope you enjoy these as much as our family and Happy Easter! 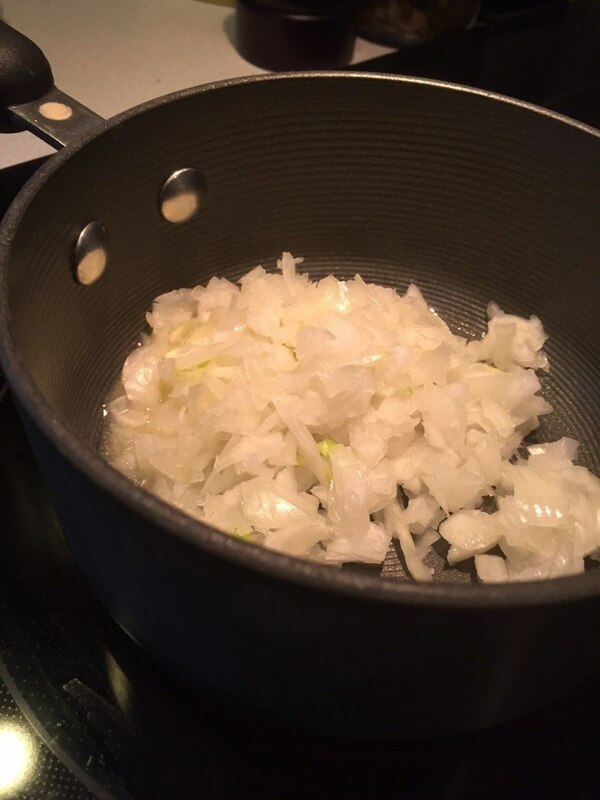 Sauté chopped onion in 1 TBSP melted butter until onion is clear. Mix together potatoes, sour cream, celery soup and grated cheese. Add cooked onion and mix well. Spread in greased 13 x 9 baking dish. Melt 3 TBSP butter and add 1/3 cup bread crumbs until crumbly. Sprinkle over the top of the potatoes.